When the Somali militant group Shabab attacked Garissa University College, Stanley Muli, 22, hid in a wardrobe, wondering why the army stationed nearby was taking so long to arrive. A Kenyan man says the Al-Shabaab responsible for the attack in Garissa called him and killed his sister during the call. CNN's Isa Soares reports. One of the four gunmen in the terrorist massacre at a university in Kenya was the son of a government official. CNN's Soni Methu reports. [Malawi24] Concerned Malawians have advised government against its plans to burn the K3.4 billion (US$5 million) ivory stockpile impounded from illegal poachers. [The Star] A security expert has urged President Uhuru Kenyatta to form a special squad to deal with al Shabaab suspects. [The Star] A survivor of last Thursday's Garissa University College massacre says when the al Shaabab struck she thought some people were playing with fireworks. [The Star] PRESIDENT Uhuru Kenyatta and Deputy President William Ruto will this week launch a university in Nandi county, Governor Cleophas Lagat has said. [SACSIS] London -The official target of limiting global warming to a 2 degrees Celsius rise has been described by a senior scientist as "utterly inadequate" to protect the people most at risk from climate change. Could Ethiopian fashion go global? Local fashion expert Mahlet Teklemariam on how the country could become a global player in apparel. CNN's Soni Methu reports. [Vanguard] Televangelist and cleric of the Synagogue Church of All Nations (SCOAN), Prophet Temitope Joshua, Sunday, said he told President Goodluck Jonathan, that he would lose the March 28 presidential election. [Capital FM] Nairobi -Authorities have now confirmed the identity of one of the four slain Garissa terrorists, as Abdirahim Abdullahi, a lawyer by profession. As CNN's Christian Purefoy reports, truck drivers in Nigeria are risking their lives to keep the economy alive. [The Herald] President Jacob Zuma has assured foreigners including Zimbabweans living in South Africa that they are protected by a "friendly" legislative system which accommodates everyone. A bomb blast in an upmarket district of the Egyptian capital, Cairo, kills a policeman and wounds several other people. Following a bitterly contested election, outgoing President Goodluck Jonathan offered congratulations to his successor, Muhammadu Buhari, who said, "We must begin to heal the wounds and work towards a better future." [New Times] Kenya was again this week the victim of an Al Shabab terrorist attack that took the whole day to quell. In the meantime, close to a hundred innocent university students lay dead. Follow along as CNN's Brooke Baldwin climbs 19,341 feet to the top of Mount Kilimanjaro in Tanzania. Kenyan air force bombs al-Shabab bases in Somalia following the militant group's onslaught on Garissa University last week which left 148 people dead. In the wake of the devastating terror attack in Garissa, Kenyan police put the bodies of the alleged gunmen on a gruesome parade through the town. [This Day] Kano -The Chairman of the Independent National Electoral Commission (INEC), Professor Attahiru Jega has said that he would leave office when his tenure ends on June 30. [The Star] THE state has directed registration of persons staff to report to work immediately to help identify the victims of the Garissa University College massacre. [Deutsche Welle] A coalition of African nations will meet Wednesday to coordinate efforts against Boko Haram. The Islamist insurgency is active in four different countries, with regional leaders vowing to crush the militants. The Confederation of African Football will on Tuesday elect two new members of Fifa's executive committee. No arrests have been made following the murder of Gauteng public order policing head Colonel David Hlanganani Makhubela, according to report. Hamam Mohamed Attia of Ajnad Misr was shot dead during a firefight at around 1 am (23:00 GMT) at an apartment in Giza. Sierra Leone's eastern district of Kailahun has recorded its first Ebola case in nearly four months, threatening progress made to stamp out the disease. A Kenyan police spokesperson says the son of a government officer has been identified as one of the gunmen in the attack in which 148 people were killed. Members of a South African crew stranded off the coast of Angola are facing starvation. Joburg Metro police officers reportedly arrested 556 drivers for drunken driving during various operations over the Easter weekend. Cape Town traffic authorities arrested two men who were caught speeding at 185km/h on the N2 highway outside of the city. A large vegetation fire was reported on the slopes of Table Mountain above the Rhodes Memorial. Zimbabwe's foreign affairs ministry delivered a letter to the private sector begging it to fund a SADC summit. There was carnage on KZN roads at the start of the Easter weekend despite a number of preventative measures. The legacy of one of Western Cape’s most shameful practices continues ravaging communities. Kenya's Christians have been horrified by survivors' tales of how the militants sought out Christian students to kill while sparing some Muslims. Kenya's President Uhuru Kenyatta's comments will put more pressure on Kenya's Muslim community, who make up about 10 percent of the 44-million-strong population. Egypt expanded the jurisdiction of military courts in October to permit them to try civilians accused of acts ranging from attacking state facilities to blocking roads. Several horror crashes around South Africa brought the Easter weekend death toll to at least 27 by yesterday afternoon. One of the al-Shabaab gunmen who massacred students has been identified as the son of a Kenyan government official. The general Bar Council says three top NPA prosecutors are "not fit and proper" to hold office. More than 100 naturists defied the threat of arrest and a confrontation with angry residents at KwaZulu-Natal's first nudist beach as they let everything hang loose at the unofficial opening this weekend. Kenyans prepared to dedicate Easter Sunday prayer services to the 148 victims of a university massacre by Somalia's Shebab Islamists, marking the first of three days of national mourning. Kenyans prepared to dedicate Easter Sunday prayer services to the 148 victims of a university massacre. The Zulu royal household has splurged about R5m on seven luxury cars for King Goodwill Zwelithini's six queens. The town of Gao suffers frequent assaults by militants and Sunday was no different. At least three mortar rounds were fired. Musa Nxumalo on his exhibition titled "In search of"
Alfred Matshebelele on his debut novel "The artisan"
Kenyans are dedicating Easter Sunday prayer services to the 148 victims of a university massacre by Somalia's al-Shabaab Islamists, marking the first of three days of national mourning. Lulu Mlangeni on her stage piece "Page 27"
The man who stands accused of killing Teazers boss Lolly Jackson in 2010 claims controversial Czech businessman Radovan Krejcir shot the strip-club king in cold blood during a fight over money. Jefferson Tshabalala and Nhlanhla Mahlangu on their show "We Chant"
Gulf Markets reacted very differently to Friday’s announcement that world powers had finally signed a nuclear deal with Iran. From Polling Booths To Information Propaganda Warfare: Enemies Of Igbo Nation Are At It Again! Egypt's central bank said on Sunday it sold USD281 million in the inter bank market to meet outstanding demand for staple commodities. Islamist militants hit Egypt's two largest cities on Sunday with a bombing in Cairo and an attack on a church in Alexandria, leaving one policeman dead and seven people wounded, security sources said. AC Milan's Ghanaian midfielder Sulley Muntari looks set to leave the club after being left out of the squad for Saturday's Serie A match away to Palermo. Cairo, Egypt (PANA) - Results from matches played on Friday and Saturday as well as Sunday's fixtures in the 2015 CAF Champions league across Africa. TRIPOLI: Four people were killed and more than 20 wounded by a suicide bomb attack on security checkpoint east of the Libyan city of Misrata, a local official news agency reported on Sunday. African football will have to get through an unusually large load of serious business but their congress in Cairo this week will nevertheless be overshadowed by the latest stop in the election campaign for the FIFA presidency. The task of identifying the bodies of the Garissa terrorist attack victims was traumatic for many relatives who came face to face with the reality of what the Al-Shabaab gunmen had done to their loved ones. Look, our waheshimiwa are wired to behave as they always behave, needless to explain, because they are not exactly overburdened with intelligence. Simply because you feel ready to talk about a certain topic on the family does not mean the man may be ready for the same. What? Good lord! Did I hear someone ask what is there to prepare for? Sudan People's Liberation Army-North has vowed to disrupt voting in South Kordofan State. US President Barack Obama has said that a weakened Israel would be a "fundamental failure of my presidency," affirming solidarity with its long-time ally despite recent differences over the Iran nuclear deal. THE Court of Appeal has enhanced a 30-year jail term imposed on a resident of Karagwe in Kagera Region, Sostenes John, to life imprisonment for defiling a four-year old minor. THE Court of Appeal has dismissed an appeal lodged by two cattle rustlers, Majaliwa Ng'hama and Makasi Matina, challenging both conviction and 15-year jail sentences imposed on them for stealing four head of cattle. Turkey on Monday blocked access to Twitter, Facebook and YouTube over the publication of images of a Turkish prosecutor killed by leftist militants during a hostage standoff last week. 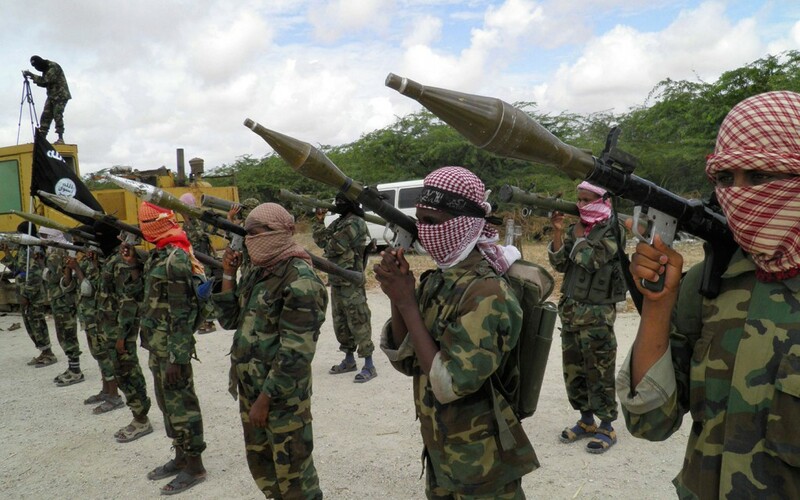 Kenyan fighter jets on Monday bombed two camps of the Al-Qaeda-linked Al Shabaab insurgents in southern Somalia, the army said, days after the Islamists carried out their worst ever massacre in Kenya. WORKERS under the Ministry of Energy and Minerals have been challenged to stick to professionalism, bring changes to energy and mineral sectors and enhance national development. TANZANIANS joined the rest of the world to celebrate Easter on Sunday, with clergies countrywide imploring both Christians and non-Christians to turn to God, live by his rules and desist from sinful ways. Senate Majority Leader Kithure Kindiki has advocated for the establishment of a homeland security agency. BEARING in mind that Easter celebrations come hand in hand with a lot of shopping, online shopping platform Kaymu has launched a campaign to remove the hassle of movement in search of goods. Being stuck in the city over Easter should not spell gloom. In true Kenyan fashion, you can make last-minute plans and salvage the holiday. It may be the hygienic way to start the day, but a new survey shows four out of every five women do not shower every day and a third go up to three days without washing their body. Residents of Kassagam village in Kisumu County are still reeling from shock after a goat alleged to have been impregnated by a local man gave birth to a six-legged kid with a face resembling that of a human being. Pope Francis called Sunday for an end to "absurd violence" in hotspots around the world. Coalition for Reforms and Democracy (Cord) leader Raila Odinga attended Easter mass in Mombasa Sunday where he called for immediate withdrawal of Kenya's military from Somalia. Christians in the country yesterday celebrated the resurrection of Jesus Christ. Religious leaders in various regions preached on peace, tranquillity and love as the country heads to the General Election in October. Calls for unity and religious tolerance dominated Easter Sunday worship across the country as Kenyans started observing three days of national mourning in honour of 148 students and police officers killed by terrorists in Garissa. An emergency blood drive for Garissa casualties is being held at Kencom bus terminus in Nairobi in aid of close to 80 casualties of the Garissa University attack admitted in various hospitals in Nairobi and Garissa. Kenya on Sunday identified one of the Al Shabaab gunmen who massacred students at a northeastern university as the son of a Kenyan government official, the interior ministry said. Trekking several kilometres into a neighbouring country in search of water may now be history for residents of Kahe Village in Rombo District, Kilimanjaro Region, thanks to a major water supply project. The National Housing Corporation (NHC) has started to act against invaders of its land by pulling down a residential house belonging to a senior Babati District official. World: What the colour of your urine says about your health - is yellow something to worry about? Do you check the colour of your urine after spending a penny? If you don't, you probably should - because it could hold vital clues about the state of your health and wellbeing.